Kirsty Howard and Camilla Al Fayed have laid the cornerstone for a £3.5 million extension of children’s hospice Francis House. Kirsty, who was born with a back-to-front heart and told she would not live past the age of four, has played an enormous part in raising money for Francis House – the hospice she goes to for respite. Now aged 17yrs, Kirsty has spent the last 13 years of her life campaigning for the Hospice, highlighting the incredible work it does, and the difficult position children’s hospices as a whole find themselves in financially. Children’s hospices provide free respite care and support to terminally ill children and their families, but because of the equipment and specialist staff they need, their overheads are substantial. Children’s hospices receive little government funding for the work they do, despite the fact they save the public purse millions of pounds every year for the simple reason that if children’s hospices did not exist, the children they help would need to be cared for in NHS hospitals, at direct expense to the government. The AlFayed Charitable Foundation has supported Kirsty and Francis House for over a decade; it is the biggest single supporter of the Manchester-based hospice. The extension to Francis House is a facility for young adults with life-threatening and life-limiting conditions. Each bedroom will be fitted with specially adapted PS3s, self-lowering wash basins and their own balconies overlooking a garden area. Communal areas will include a lounge, cinema room and recording studio. You can help make a difference to the lives of terminally ill children and their families by making a donation. Click on the donate button on this page to donate to Francis House, or find your local children’s hospice and pledge your support to them direct. Twins joined at the head are successfully separated. September 19, 2011 momotube Comments Off on Twins joined at the head are successfully separated. Find out who we've been helping and their recent accomplishments. 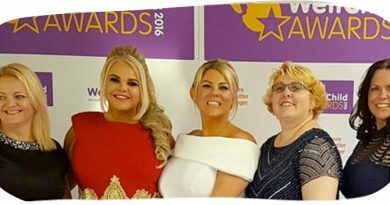 Zoe’s Place Baby Hospice in Liverpool has been named Inspirational Health Team of the Year at the prestigious WellChild Awards. West Heath School earns an ‘Outstanding’ report from OFSTED. October 7, 2016 momotube Comments Off on West Heath School earns an ‘Outstanding’ report from OFSTED. 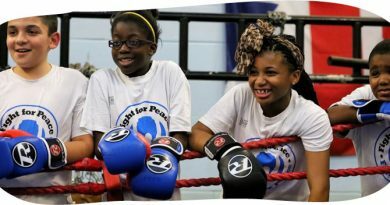 Copyright © 2019 The AlFayed Charitable Foundation. All rights reserved.